Special Issue "In Memory of Walter Kohn—Advances in Density Functional Theory"
This Special Issue will consist of selected excellent papers from the &ldquo;17th International Conference on Density Functional Theory and Its Application&rdquo; (DFT2017), which will be held in T&auml;llberg (Dalarna), Sweden, from 21 to 25 August 2017. 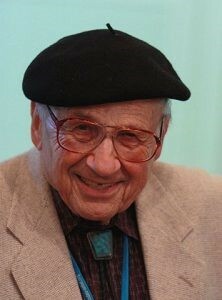 This international conference is dedicated to Walter Kohn in memory of his essential contributions to this field. Contributers will be invited to submit and present papers in a wide variety of areas from concepts to applications. Topics of selected papers will include various method developments and applications to molecules, solids, surfaces and biomolecules. Related submissions outside the conference are also very welcome. This Special Issue is dedicated to demonstrating recent advances in studying the electronic structure for a variety of systems in their ground state or excited state, from regular to highly correlated systems. Papers may report on original research, discuss methodological aspects, review the current state-of-the-art, or offer perspectives on future prospects. These papers will be subjected to peer review and are published so as to widely disseminate new research results, including developments and applications. The authors of papers submitted to the DFT2017 conference (http://www.dft2017.conf.kth.se) will be given the opportunity to submit extended versions of their works in this Special Issue, provided they fulfil the specific journal requirements found at https://www.mdpi.com/journal/computation/instructions. Electron density is used to compute Shannon entropy. The deviation from the Hartree–Fock (HF) of this quantity has been observed to be related to correlation energy. Thus, Shannon entropy is here proposed as a valid quantity to assess the quality of an energy [...] Read more. Far outside the surface of slabs, the exact exchange (EXX) potential vx falls off as −1/z , if z denotes the direction perpendicular to the surface and the slab is localized around z=0 . Similarly, the EXX [...] Read more. In the periodic table, only a few pure metals exhibit lattice or magnetic instabilities associated with Fermi surface nesting, the classical examples being α-U and Cr. Whereas α-U displays a strong Kohn anomaly in the phonon spectrum that ultimately leads to the formation [...] Read more. In this work, we summarize the recent progress made in constructing time-dependent density-functional theory (TDDFT) exchange-correlation (XC) kernels capable to describe excitonic effects in semiconductors and apply these kernels in two important cases: a “classic” bulk semiconductor, GaAs, with weakly-bound excitons and a [...] Read more.